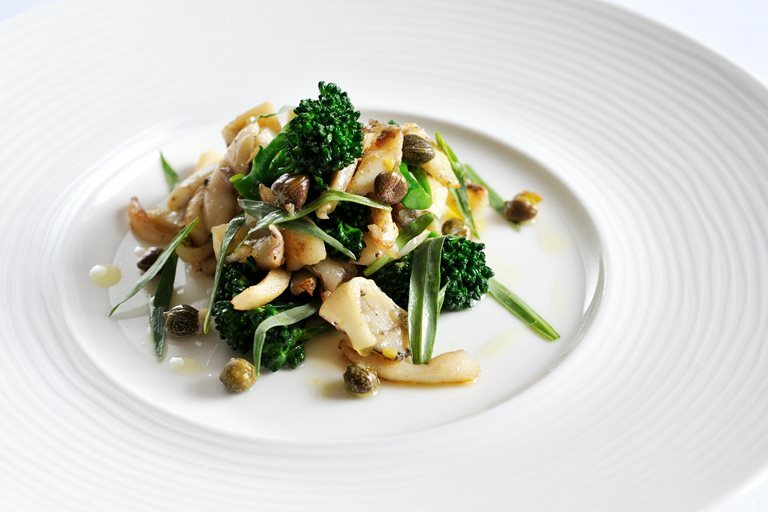 Nathan Outlaw's impressive cuttlefish recipe gives you a reason to try this lovely seafood treat. If you like squid, you’ll love this cuttlefish recipe, using an underutilised product of the sea that’s well worth getting to know because, unlike its other relative octopus, the cuttlefish’s fleshy body is substantial. Here the thick, brilliant white meat is braised and the ink sack saved for use in a stunning black vinaigrette.